Dom Ramos. Artist of life. 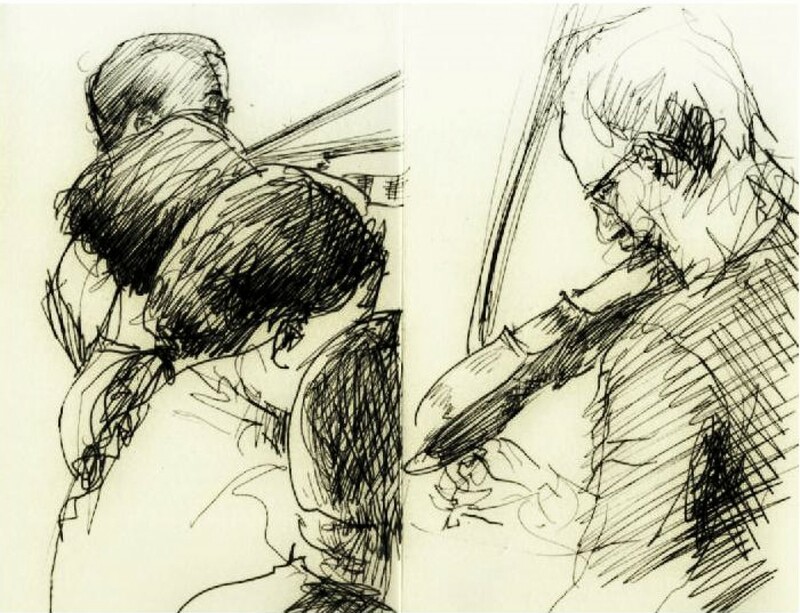 Artist of lives. I am happy to announce that Dom Ramos will be exhibiting recent drawings and paintings, with Kathie Murphy exhibiting her celebrated polyester resin jewellery and Tim Jee his intriguing paintings at the annual Artwave 2017 – Artists & Makers Trails. Lewes, East Sussex BN7 1HH. This is a widely promoted event which allows the visitor to visit a number of locations dotted around the beautiful town of Lewes and its surrounding area, many of which would not normally be open to the public. Kathie Murphy started jewellery evening classes at the age of 14 with Jonathan Swan at the workshop in Lewes. Murphy went on to gain a degree from Middlesex Polytechnic and then a post graduate Diploma from Glasgow School of Art in the subject. Since 1992 Murphy has specialised in working in Polyester resin and continues to explore the possibilities of this material. She has had two books published by A&C Black, Resin Jewellery and Design and make non precious jewellery. Murphy’s work is in the collection of International jewellery at the Middlesborough Institute of Modern Art, Aberdeen City Art Gallery and National Museum of Scotland, Edinburgh. She teaches at City Lit London, Morley College London and West Dean College, West Sussex. Dom Ramos (b. 1966) comes from three generations of painters in his family. Aged 12 he assisted his father, on a copy of Raphael’s ‘Transfiguration’, and into his twenties with his mother on a number of murals. Going solo as a mural painter, he went on to adorn public places as well private houses with murals, specialising in historic themes. After a fire tore through his studio in 2015, he has returned to working on drawings and easel paintings. He has taught for the Royal Drawing School. He was awarded the Friends of Lewes Civic Award for his mural, ‘The Friars’ Garden’ in 2006. He is due to publish a survey of historical figures of Lewes illustrated with his murals from a panelled room in the town in 2017. We all get computer glitches from time to time. In my case, the whole thing went a little…broken. The result is I can no longer access my mailing list to send you A4artist drawings and so can I ask you to contact me through the contact form with your email if you would still like to receive my drawings, which I will send as a file (fortnightly instead of weekly) as before? Art: The Spanish Tradition. 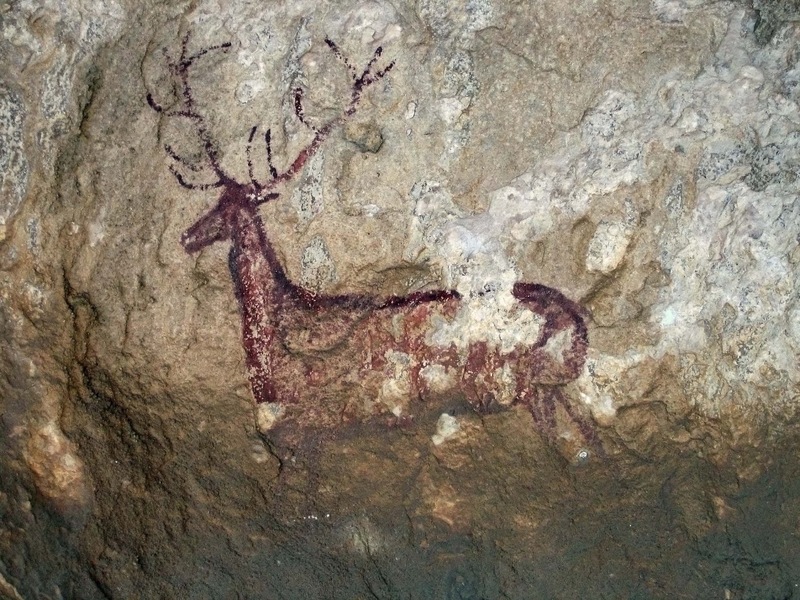 Part I.
Cave-painting of a deer, Spain. 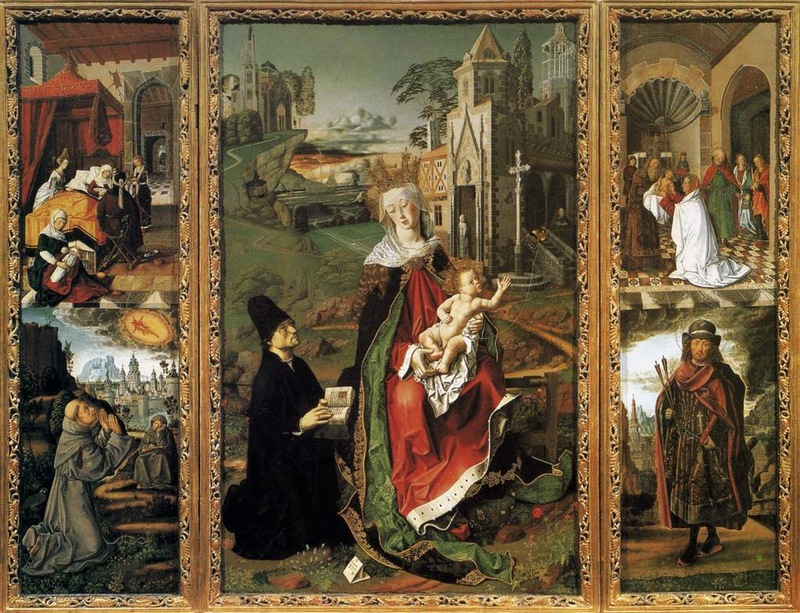 Spain occupies a central role in the development of art that belies its geographical situation at the edge of the world that was known until 1492. Its importance was in no way marginalised after the ‘plus ultra’ of the Americas had been reached. 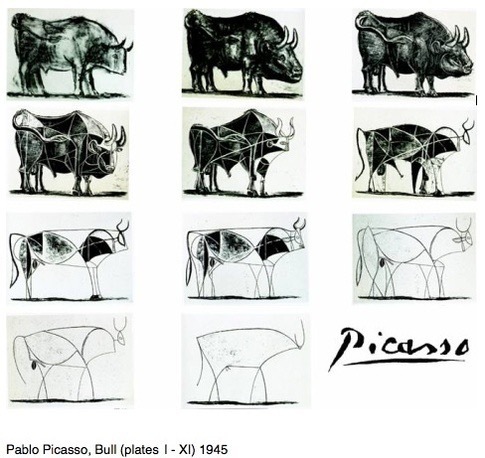 An extraordinary capacity for an earthy sense of observation was already evident by the time the cave paintings of Altamira had been made tens of thousands of years ago. 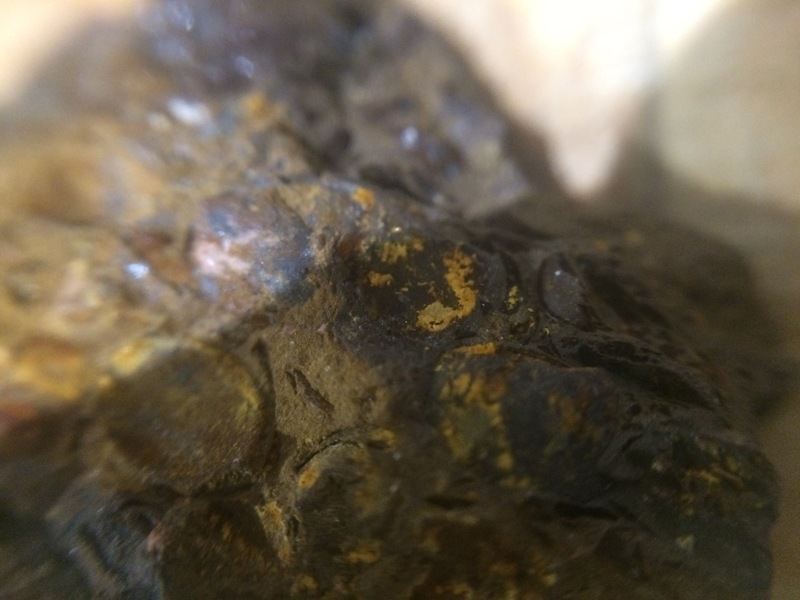 Native iron oxides found in Spain. 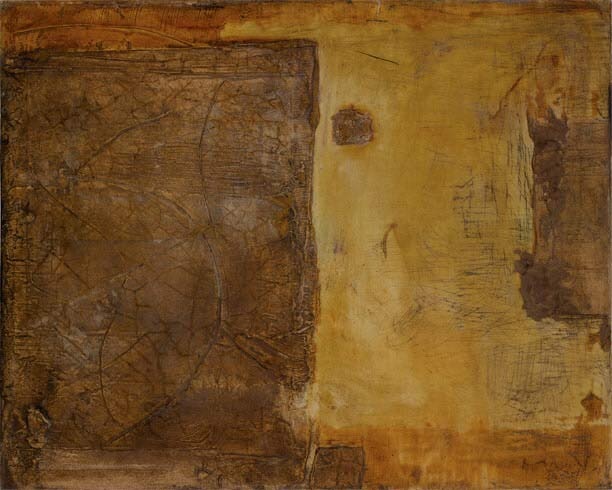 Artists millennia later, such as Tapies, still conduct a dialogue in paint with this great heritage, as did such Spanish forerunners of modernism as Pablo Picasso, once he had liberated himself from classical modes of representation. What is it within Spain that permits, leads, or encourages art? Is it perhaps the extraordinary density of caves, in a country where thousands of people live as troglodytes to this day? That’s a lot of ancient wall space. Is it the incredible mineral diversity, that provides the bulk of the pigments found in any palette before 1830. Cinnabar mines from the time of the Ancient Greek settlers could provide vermillion, the colour that the great Medieval painter Bermejo was synonymous with. Perhaps the latitude, the light that gives such relief to vegetable and mineral forms under the sun etched the strongest shadows in the mind: the real vehicle for depiction. 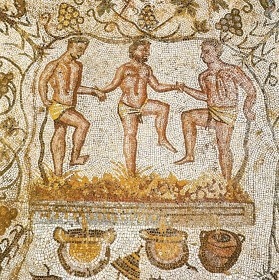 The interplay of ancient cultures must be of primary significance: Greeks, Phoenicians, Celts, Iberians, Romans, Tartessians, Basques, Berbers, Arabs, Slavs, Visigoths, Genoese and settlers arrived in or emerged from the land of Spain. The first named people here brought the Classical to Hispania. Tarshish- a proto-Goidelic speaking society was mentioned in Isaiah as a trading nation with the Mediterranian. It is beyond doubt that cinnabar was used on polychrome sculpture at Athens at the time of Plato- it came from Spain. An early form of globalisation meant that Iberians painted Greek kraters and urns from this time. Vase in the Greek style from Iberia. The Romans followed the great trade nation of the Phoenicians and Carthaginians, who, successively had built the oldest cities in Europe, such as Cadiz, dominating the tin trade and opening up the mining of ores, pigments, silver and gold. It was this memory of a homegrown El Dorado that would provide the impetus later, for the exploitation of the Americas, but this time it was for the native Celto-Iberians to be exploited in the Romans’ incessant search for gold, after a struggle of nigh on two hundred years. More remains than in Italy itself, from the period, testify to the permanence the Roman influence was to have. The Visigoths had, in short order, migrated across Northern Europe, founded Toulouse then Toledo as their capitals, upgraded from beer-drinking to wine, abandoned paganism first in favour of a transitional Arianism thence to Catholicism. The feudal culture also brought the most beautiful reinterpretations of the Roman, as if seen with childlike eyes or a distorting mirror. Pilgrimage contended with settling down as the cultural pendulum swung. 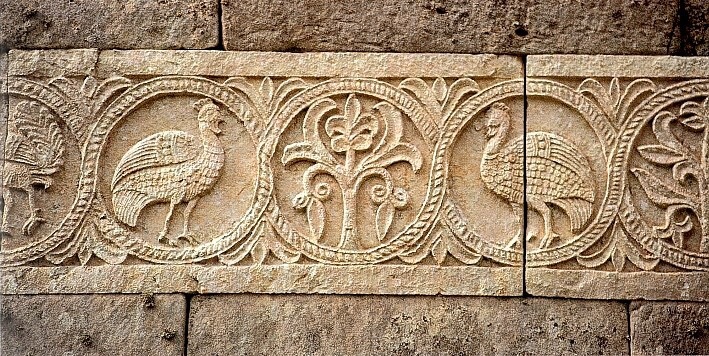 The arrival of two generals, one Arab and the other half-Berber, Ibn Musa and Tariq, at the head of large armies who went largely unopposed such was the unpopularity of the decayed Visigothic regime by 712 AD, marked the 800 year influence of Islamic art in Spain. Again the cultural pendulum swung, but this time between the poles of a preserved gulf Arab paganistic richesse, of dense yet graceful animal and vegetable forms and an architectural form of decorative brickwork and the newly developed fine calligraphy of Kufic script that could almost pictorially act out a sura from the Koran, elongated on the wall of a palace or mosque. These two artistic tendencies reflected a tension between the civilised yet decadent Caliphs and petty kings and their internal and external enemies, fundamentalists such as the Almohads and Almurabits. Under the former, all religions lived almost equally with a social-economic order that one economist has called “finest in history”. Reflecting the extraordinary social mobility of that society, Ibn Badr, a Slavic ex-slave and bodyguard of the Umayyad Caliph was yet able to not only rise to the position of prime minister, but also design the Mezquita of Cordova, the finest building of Islamic Spain. Calligraphy and ceramics, tile-making and architecture were the chief areas of interest- the relatively small amount of depiction of living forms owes itself to Koranic prohibitions, yet Al-Mutadid, the poet-King of Seville would drink wine.